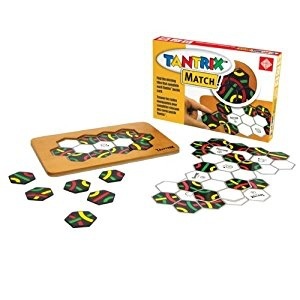 The Challenge: Tantrix Match consists of a sequence of 12 unique puzzles. Using pre-placed tile clues, your mission is to fit the remaining tiles to ensure that all colors match. With 4 levels of difficulty and 3 objectives, this edition contains a range of solitaire puzzles that are ideal for both beginner and expert Tantrix puzzle players. 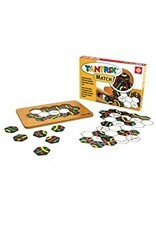 Includes: 1 wooden Tantrix Match tray, 113 Tantrix tiles, 12 Tantrix Match puzzle cards, instructions.